Hector Serrano created this giant monster for the Valencia City Council to celebrate the World Environment Day. 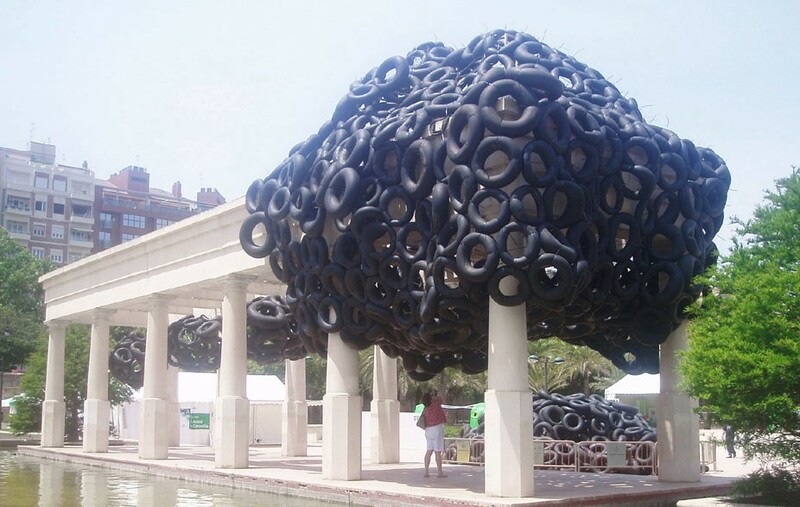 By covering these columns of a gazebo with black rubber tires collectively shaped like a huge black cloud, he's trying to remind us the consequence of inappropriate use of the natural resources and the massive generation of waste. 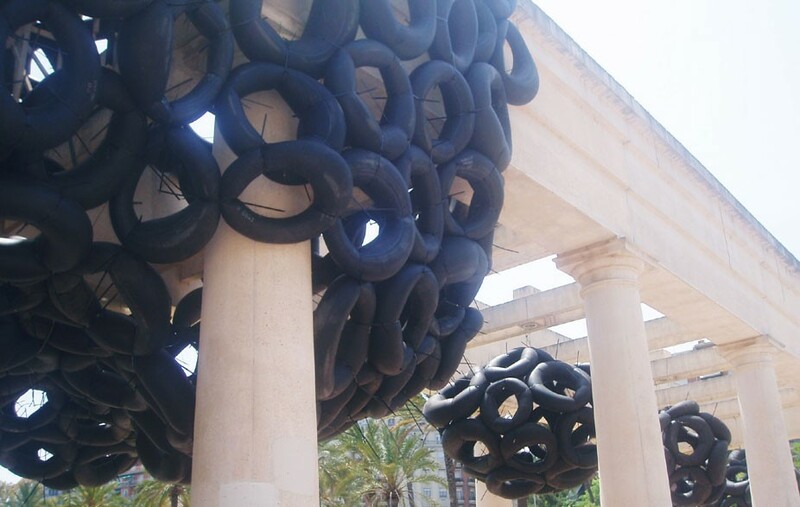 The installation transforms the tire into an architectural element. The message is clear to me but I don't think people will understand. It is clear and it also makes people get curious.